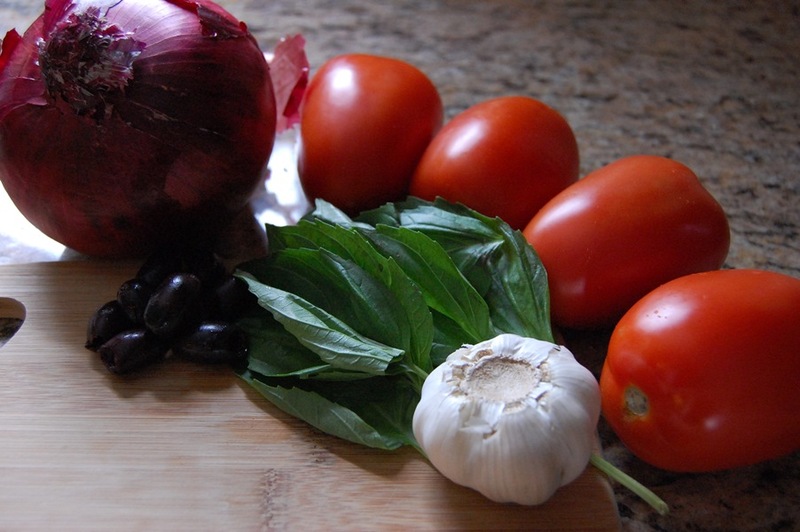 What’s better than a delicious fresh pasta sauce? Put your hand down; I’ll tell you. What’s better is a delicious fresh pasta sauce that is even more delicious as leftovers a day or two later. Those are Kalamata olives. I suppose if you really want, you can get plain old canned black olives, but they don’t quite do the trick the way these guys do. Kalamata olives lend a unique-flavored saltiness to this sauce that you can’t get from another olive. I’ve found that most grocery stores carry them in one of two areas – an olive bar or behind the deli counter. Go for pitted ones for this recipe, if available. This pasta sauce is supposed to be a little “chunkier,” so I use fresh tomatoes and leave the skin on (but remove the pulp and seeds). You’ll know the sauce is done when the tomatoes begin to break down and some of the liquid cooks off. Throw the leftovers in your fridge for a couple days. The longer it sits, the more the flavors will blend. If you thought you loved it the day you made it, just wait until you taste the leftovers! 1. Cook pasta according to package directions. 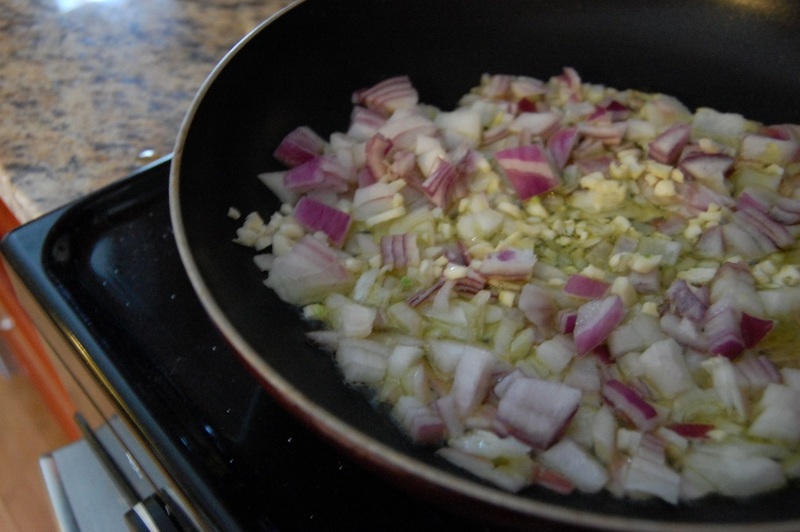 In the meantime, heat a large pan over medium heat – when hot, add olive oil. When oil is hot, add garlic and onion. Cook for 1 – 2 minutes. Do not let the garlic begin to brown. 2. 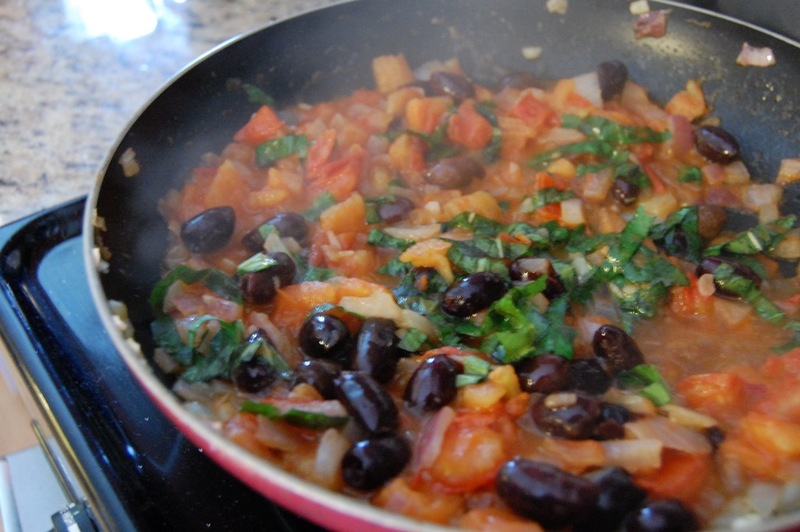 Add tomatoes and cook for approximately 5 minutes before adding olives. Add salt. Cook an additional 5 – 10 minutes, stirring occasionally, until tomatoes have broken down to desired consistency. Add basil for final minute of cook time. Serve immediately. 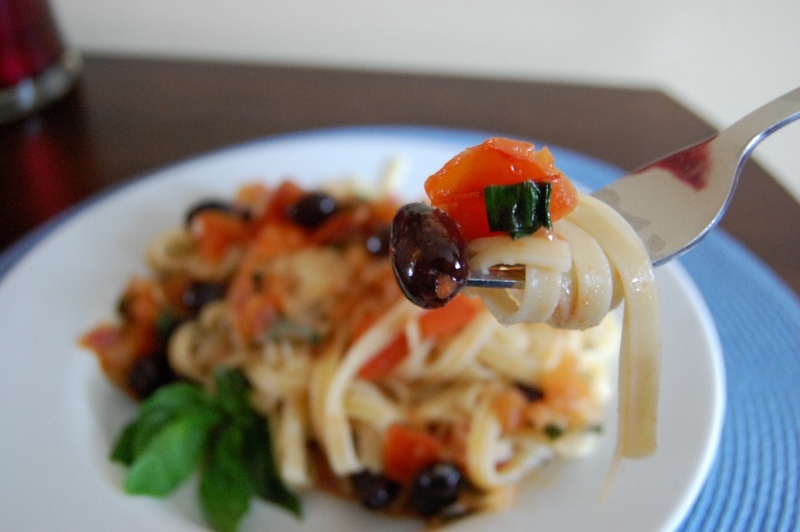 This entry was posted in Dinner, Pasta, Vegetarian and tagged Cook Time, Cooking, Easy, Kalamata, Mediterranean, Olives, Pasta, Prep Time, Recipes, Sauce, Simple, Tomatoes, Vegetarian, Yield by Lazy Suzan. Bookmark the permalink. I love easy sauces like this. I’ll def. try it. I’m learning how to make homemade pasta right now. That’s great! I failed miserably the last time I tried to make pasta – it all crumbled after it dried. I hope you’ll post some instructions because I could use the help! This looks delish! What would you think of adding artichoke hearts too? I love Mediterranean flavors. That sounds excellent! If you try it, let me know how it goes. I have also used capers in this recipe in the past, which adds great flavor. I LOVE this pasta. SOOOOOOOOOOOOO good. 🙂 And a great leftover meal! 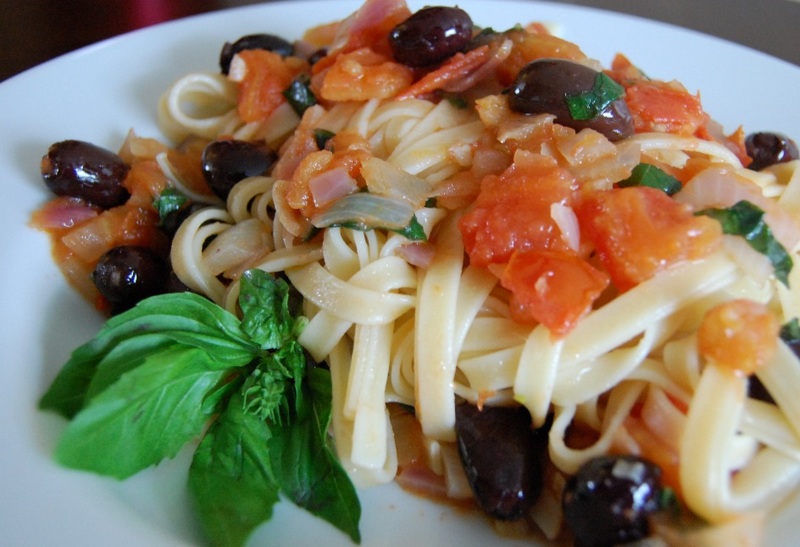 Once my tomatoes start producing in August, pastas like this are a mainstay. Yours is so fresh and light that it must be delicious. Hey! I nominated you for the Versatile Blogger award! Congratulations! Food photography is super tricky! 🙂 Thanks very much for the compliment!